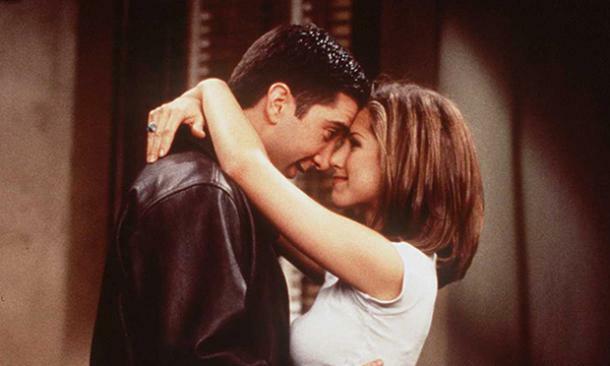 The best lessons can come from your favorite TV romances. Every relationship is different and every relationship teaches us something. It’s up to us whether we learn the lesson or not, but it's there. Sometimes it’s not even our own personal relationships where we learn the most important lessons. It can be from witnessing other romantic relationships (like those of our parents, friends, family, etc.) and can even be from watching on-screen romances! Some of the biggest lessons can be learned from watching your favorite TV show. When your favorite on-screen couple is going through a rough patch, it really has you thinking about what you would do in their situation or how you’d feel in that specific situation. From Chuck and Blair in Gossip Girl to Nick and Jess in New Girl, no relationship is perfect, but they can all teach us something. When we watch our favorite TV shows, we develop this crazy connection to the characters. We put ourselves in their shoes just to see how we would feel if we were in the same situation. It’s so easy to relate to these characters, which creates an even stronger connection to them. This is why whenever they mess up in their on-screen romances or are going through a heartbreak, it almost feels as if YOU’RE the one that is going through it. It’s such an amazing thing that we are given the opportunity to learn these HUGE life lessons just from a connection to characters on a show without actually having to live it! Keep scrolling to see 15 lessons about relationships that popular on-screen romances have taught us. This is definitely a couple that went through A LOT of ups and downs. Chuck and Blair showed us that no matter how much pain and hurt that can happen in a relationship, true love will survive it all. Yes, they gave up at times. Yes, they tried to move on. Yes, they hated each other at times. But in the end, their love was strong enough to survive it all. They ALWAYS had each other’s best interest at heart, even when it didn’t seem like it. Even Blair said at one point throughout the series, “There are some people you can only love by not being with them.” She was right, but not about Chuck. 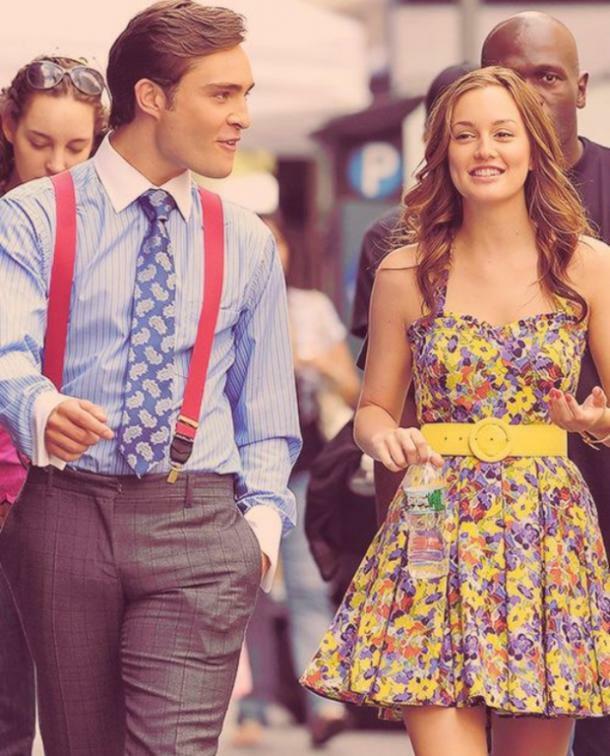 Chuck and Blair accomplished something something tough, yet rewarding. They accomplished forgiveness. They learned to forgive one another and forget the pain that the other caused them, which was how they were able to end up together. Being friends first means that you can build the strongest relationships. This couple always had a spark even though they didn’t realize it until later on. Nick and Jess showed us that opposites really do attract. They seemed very unlikely to make it as a couple due to their conflicting personalities; Jess was always about looking on the bright side of things and giving people chances and Nick almost ALWAYS saw the worst in people. He never gave anyone a chance. But Nick and Jess taught me that even though someone has COMPLETELY different views on the world, it doesn't mean that relationship can’t be worked out. They both give each other new insights on stuff, and I think that’s ultimately what makes this couple one of the strongest. There is nothing wrong with a little excitement in a relationship. In fact, that is what brought this couple together. Rory and Logan came from two different worlds. They grew up with completely different lifestyles. That secret society that Logan was in while at Yale is ultimately the entire reason he got into a relationship with Rory. That’s what got them doing these crazy stunts and creating these insane memories that can’t ever be recreated. This couple shows us that no matter where you came from or how you were raised, one thing can create a strong bond that can’t ever be broken. S and Dan … they were THE perfect couple. Even though there was more to their families than they knew, their love for each other was pure. They did have one conflict that they couldn’t work out and it was Serena herself. She loved him and wanted to make it work at the time, but couldn’t. This couple shows us that if you love something, set it free, because if it’s meant to be it’ll come back, which is is exactly what happened. They knew they loved each other but the timing was wrong. It just wasn’t their time yet. Their time eventually did come, though, and they both were able to get what they wanted. Serena and Dan were patient and that is something that can be incredibly difficult. Sometimes in a relationship, you have to let it fall apart so it can come back together. That’s exactly what these two did. They let their relationship fall apart and they let each other go for the time being. Sometimes, you have to do that even though it hurts. Lucas was always completely in love with Peyton. It took a long time for her to be able to actually give him a chance but that’s only because she had a hard time letting anyone in. Lucas never quit and that’s something you need to do in a successful relationship. Even when he was with other people, he never stopped loving Peyton. He never EVER wanted to hurt her and that was something that scared her. She was very tough and unforgiving, but that never scared him away. In a way, that’s how she made sure she could trust him with her heart. Peyton and Lucas showed us that if you truly love someone, show them you care even when they’re not letting you in. Don’t force yourself in, but make sure they know that you truly care about them and give them the opportunity to trust you. It’ll be worth it. Sometimes we need these "just for fun" types of relationships in our lives. They add excitement and adventure. Jess and Sam really showed us that there’s no shame in having these types of relationships. When they first met, Jess just wanted to have fun and he wanted the same thing. Even though it turned into something more later on, that doesn’t mean every relationship HAS to turn into something. If someone ever judges you for being a relationship just for fun, don't worry about what they think. You deserve a little adventure in your life. Just go with your gut and be who you are, but don’t forget to have some fun at the same time. They were meant to be from the beginning! Even though you couldn't exactly see it at first, there’s something that Lane and Zack have that just shows that they were ALWAYS soul mates. Mrs. Kim, Lane’s mom, didn’t like Zack AT ALL but that didn’t stop either of them from from following their hearts. Yes, of course, we want to respect our parents and respect their opinions, but that also can’t stop you from finding love if it's truly real. Eventually, they’ll realize that who you’re with makes you happy and even if they don’t like him or her, they’ll accept it. Hopefully. Getting hurt is scary, but you have to follow your heart to be truly happy, otherwise you’re not really living your life. Lane and Zack definitely ended up happily together. Why can’t we? This couple went through SO much. I mean, every couple goes through a lot throughout their relationship, but Nathan and Haley went through more throughout their relationship than most. They were young when they got married, as in they were still in high school. Many didn’t believe they’d make it, but they did. Their passion for one another showed us all that you can find true love at ANY age. Don’t let anyone tell you that you’re too young or too old to be finding your true love because you find it when you find it and it can be at the most unexpected of times. Nathan and Haley let their passion for one another lead them in their relationship and even when they were in the worst part of their relationship, they didn’t quit. They were still passionate about each other which is what made their marriage successful. Poor Jim. He was friend zoned for years before getting a chance with the love of his life. But he showed us all that IT IS possible to get out of that friend zone and that the foundation they built as friends was strong enough to help them achieve a successful relationship. They didn’t always see eye to eye and did go through a rough patch, but they did what they needed to do to work it out. 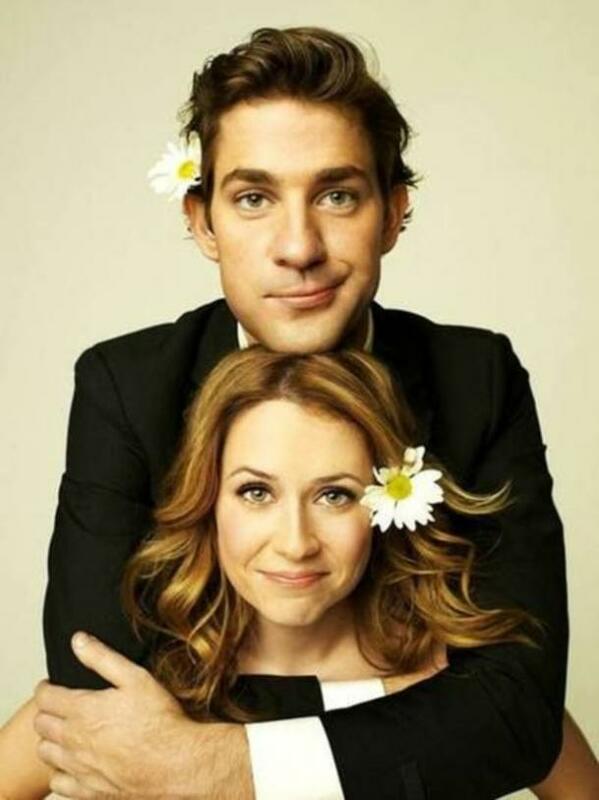 Jim and Pam had such pure love for one another and I believe that’s why they did everything possible to make sure their relationship was successful. Everyone had to see this one coming. Ben and Leslie, the couple that wanted to be together but couldn’t due to company policies. These relationships happen ALL the time. If there are rules keeping you and the person you want to be with apart, still try to make it work. Sometimes you just have to break rules if you think it’ll work out in the long run. Ben and Leslie’s love for each other eventually did come out, and they made it back to one another because they were truly meant to be. Ben and Leslie were the quirky couple that everyone loved. They definitely loved each other and made sure they knew it. They show us that sometimes, love conquers all. They put their dreams on the line for their relationship, but they were able to make everything work. Sometimes that’s possible in life. This one was not something I saw coming. This couple is definitely eccentric, but there’s nothing wrong with that. They weren’t afraid to add excitement in their relationship — or show it.. They even attended an event and were role-playing, which many people won’t do in public, but they didn’t care. They were having fun. They also weren’t afraid to move too fast in their relationship. They both admitted their love for one another, so they decided to take a leap of faith early on in their relationship and get married, which ended up working out for them. They were both able to follow their dreams, too. Yes, this may not work for everyone. Every couple is different, but if you and your partner are in the same place, flexible, and willing to do anything to make it work, then moving quickly is okay despite what some may say. Moving fast isn’t for everyone, which is okay too. Moving fast DOES work for some couples though, and April and Andy proved this. 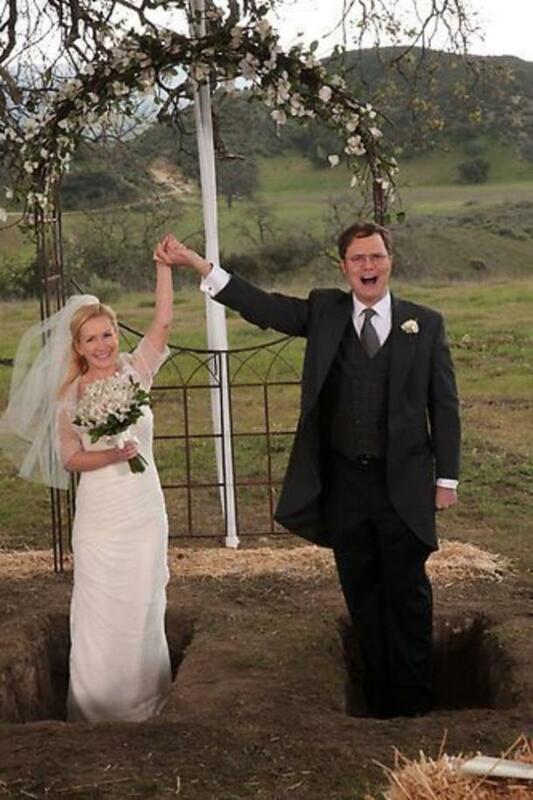 Angela and Dwight were the couple that was so weird it almost seemed perfect. Their personalities matched up pretty well in my opinion. Their relationship came together in the end, but I feel like they didn’t have to be so secretive about their relationships for those few years. Angela cared too much about what the people in the office would think about her and how they’d treat her. She wasn’t the most affectionate person, either. For a while, we were all rooting for these two to make it through, even when they were "on a break." They were going strong for some time, but the timing just wasn’t right. I feel like they just couldn’t handle a successful relationship when they began dating and needed to do what they wanted to do first. That’s perfectly okay, just be honest about it. Rachel and Ross needed to get their own lives together first before they could focus on each other. Sometimes waiting in a relationship is something that needs to be done. Once they were both in a place in their lives where they were able to accomplish everything they wanted to, they were able to finally work it out. If you need to take some time to focus on yourself, be honest with your partner about it. If it’s meant to be, it’ll be. A relationship can form in the most unexpected ways and at the most unexpected times. There was absolutely no build up to this relationship. 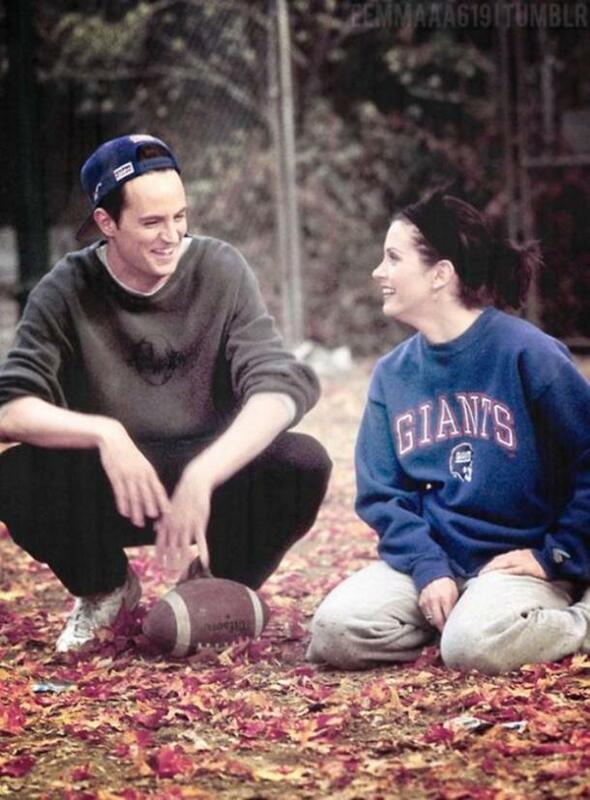 Monica and Chandler ended up being one of the most successful relationships even though it seemed as if they had ZERO interest in each other before London. They definitely weren’t sure about their relationship at first, which is why they kept it a secret for a while. But when friendship and passion join together, before you know it, it's love. When they were sure about it, they committed to each other without a doubt. This was one relationship that showed us taking your time in a relationship is sometimes necessary, and it worked for these two. They took their time, but they were both on the same page. Monica and Chandler showed everyone that sometimes even if you’re relationship is one that comes out of the blue, that doesn’t mean it can’t work out in the end. Luke always felt like he didn’t belong in Lorelai’s family. We could probably blame her parents for that. Their love for each other was true, and they had a hard time seeing this for a long time. Never give up on a relationship just because people are trying to get in the way of your relationship. They’re trying to get in your head and they’re trying to make you guys break up. In this case, it was Lorelai’s parents and Christopher that all got into Luke’s head and succeeded in breaking them up. Don’t let them win. All that truly matter in a relationship is whether or not you truly love one another. If people are trying to break you up, it's only because they see you as a threat in some way. If Luke never let it get to him, they might have ended up together much much sooner. We live and we learn, but don’t let others get in the way of your relationship. Rebekah Ludman is a writer and animal-lover who enjoys traveling. She's a freshman at the California State University Long Beach majoring in journalism.